Astragalus is a member of the legume family and use in herbal medicine is confined to the root which should have a sweet taste. Many times it is combined with other herbs to make a remedy to strenthen the immune system. One of it's chief benefits is that is contains anti-oxidants. When a cell uses up energy, it produces free radicals, but anti-oxidants can bind to radicals and prevent cellular damage. This plant as an unusual ability to stimulate certain immune functons, while depressing others. It is considered an overall body tonic that is used to stregthen digestion, increase metabolic activity and stimulate the immune system. Therefore, it is beneficial for anyone who suffers from fatigue or repeated infections. Research has also been done regarding use of astragalus in chemotherapy patients who have immunocompramised systems. The studies were able to demonstrate that this herb could speed recovery. This is especially important in patient who have to have surgery first before chemotherapy. As an anti-biotic it is quite useful in topical wound treatments. Angina, atherosclerosis, CHF. Improves circulation by increasing action of the left ventricle of the heart. Taken with coptis and scutellaria, it makes blood more fluid preventing clots. Burns. Increases production of interleukin from the immune system to help healing. Cancer. 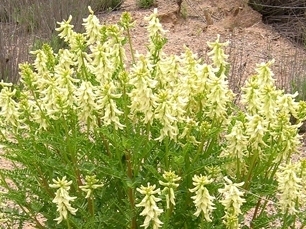 See herbs and chemotherapy for more information and use of astragalus in cancer. Common cold. Use during cold season reduces the number and duration of colds. Increases the body's production of interferon to fight viruses. Diabetes. Improves diabetic retinopathy and eyesite when taken with equal parts rehmannia, one tsp 3x/day for 3-5 months. HIV/AIDS. Stimulates the activity of T-helper cells depleted by AIDS, without stimulating T-suppressor cells. Used in capsules, fluid extracts, teas and tinctures. Even in large doses is non-toxic. Should not be used during an acute infection or if a fever is present (immune system is working hard enough!). May be useful in preventing immune system stress caused by medicatons such as lithium. Do NOT take this herb if you are taking any of the following medications as it may inhibit these medications: cyclophosphamide and corticosteroids. Discuss this and any herb with your health care provider if you are pregnant or breast feeding. More herbs at the herb dictonary online.